The social sciences are a group of academic disciplines that study human aspects of the world, in particular those involving social behavior and society. These disciplines, focusing on the study of human social behavior, are clearly distinct from the physical sciences, that study non-living systems, by virtue of their subject matter. The subject matter of the life sciences, which is the nature of life in all its myriad forms, has some connection to the social sciences in its study of those species where social behavior is notable, but the study of human social behavior is uniquely complex and of a higher order—and this is the purview of the social sciences. The social sciences differ from the humanities not so much in the content of the subject matter but more in that they emphasize the use of the scientific method in the study of human beings. The term "social science" did not appear until the nineteenth century, when the social sciences began to be recognized as distinct disciplines. However, the origins of their ideas and goals are located much further back in time. Human beings have always been curious about themselves, their nature and behavior as individuals and as groups, their relationship to the natural environment, and to God. However, it is more difficult to study these topics than to study the natural environment or even theorize about the nature of God since the nature of the social scientific inquiry is necessarily subjective. We are studying ourselves. Perhaps, therefore, it was inevitable that scholars first developed their understanding of God and nature before making inroads into the study of human beings. While there is some fluidity over which areas of study are included within social sciences, anthropology, economics, linguistics, psychology, and sociology are foundational; communication, education, law, political science, and social work may be included; and certain sub-fields of other disciplines, such as human geography, are included. Traditionally, the study of history has been considered a part of the humanities, alongside subjects such as literature, but increasingly it is being classified as a social science. The social sciences, in studying subjective, inter-subjective, and structural aspects of society, were often referred to as "soft sciences" in contrast to the "hard sciences," such as the natural sciences, which focus on objective aspects of nature. In more recent times, however, this distinction has become blurred with some social science disciplines often employing strictly quantitative methodologies. Conversely, the interdisciplinary and cross-disciplinary nature of scientific inquiry into human behavior and social and environmental factors affecting it have led to so-called hard sciences employing aspects of social science methodology. Examples of boundary blurring include disciplines like social studies of medicine, sociobiology, and neuropsychology. Social science has not been a clearly defined area historically; indeed, the classification of the various disciplines as social sciences rather than humanities or life sciences has not been consistent over the years. Instead, each discipline that can be considered a social science has developed rather independently. Thus the history of the social sciences has generally been divided according to discipline, and there have been few attempts to write a history of the social sciences as a whole other than to relate to a specific historical context. The idea that society may be studied in a standardized and objective manner, with scholarly rules and methodology, is comparatively recent. The term "social science" first appeared in the 1824 book An Inquiry into the Principles of the Distribution of Wealth Most Conducive to Human Happiness by William Thompson (1775–1833). Since the mid-twentieth century, the term "social science" has come to refer generally to all those disciplines which analyze society and culture; from anthropology to linguistics to media studies. Whilst there is evidence of early sociology in the Islamic Golden Age, and whilst philosophers such as Confucius had long since theorized on topics such as social roles, the scientific analysis of human beings as social beings began most intentionally in the early nineteenth century with the positivist philosophy of science. Social sciences came from the moral philosophy of the time and were influenced by the Age of Revolutions, such as the Industrial revolution and the French revolution. Yet, the origins of the basic ideas of these social sciences are found much farther back in time, in philosophy and theology. In ancient civilizations, there was no distinction between the disciplines now considered the liberal arts and the sciences. There was no difference between mathematics and the study of history, poetry, or politics. 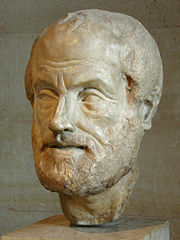 Aristotle studied planetary motion and poetry with the same methods, and Plato mixed geometrical proofs with his demonstration on the state of intrinsic knowledge. Only with the development of mathematical proof did there gradually arise a perceived difference between "scientific" disciplines and others, the "humanities" or the liberal arts. 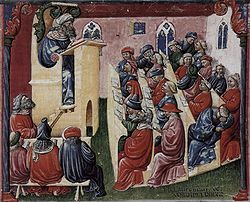 After the fall of Rome, which did little in the way of science, theorizing was transferred to the priesthood and a group of scholars known as the Scholastics. Thomas Aquinas of the thirteenth century, in his Summa theologiae, developed ideas about man and society that contain political, social, economic, anthropological, and geographical conceptions. The influence of the church through the Scholastics, remained strong until the Enlightenment, leaving no room for the development of ideas regarding human nature that were separate from theology. Significant contributions to the social sciences were also made in Medieval Islamic civilization. Al-Biruni (973–1048) has been called "the first anthropologist." He wrote detailed comparative studies on the anthropology of peoples, religions, and cultures in the Middle East, Mediterranean and South Asia. Ibn Khaldun (1332–1406), best known for his Muqaddimah (Prolegomenon in Greek), has been viewed as one of the forerunners of modern historiography, sociology, and economics. The Age of Enlightenment advocated reason as a means to allow human beings to obtain objective truth about the whole of reality, freeing humankind from superstition and religious. In the eighteenth century, social science was called "moral philosophy," as contrasted with natural philosophy (the precursor of natural sciences) and mathematics. It included the study of natural theology, natural ethics, natural jurisprudence, and economics and finance. Pure philosophy, logic, literature, and history were outside these two categories. The beginnings of the social sciences in the eighteenth century, during the European Enlightenment, are reflected in various grand encyclopedias of Diderot, with articles from Rousseau and other pioneers. 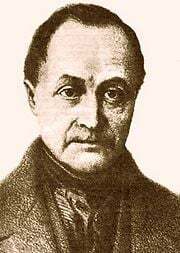 Nineteenth century French thinker Auguste Comte (1798-1857) was the first to apply the scientific method to the social world, and coined the term "sociology" to describe the scientific study of human society. Comte hoped to unify all studies of humankind—including history, psychology, and economics. His own sociological scheme was based on the philosophy he called "Positivism," in which he described human society as having developed through three stages, the third of which he called the "positive" stage, dominated by scientific thought. He believed that if one could grasp this progress one could prescribe the remedies for social ills. This framework, still rejected by many, has nonetheless been used to develop disciplines within the social sciences. One route that was taken was the rise of social research. Large statistical surveys were undertaken in various parts of the United States and Europe. 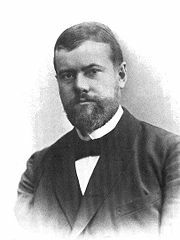 Another route was initiated by Émile Durkheim, studying "social facts." A third, championed by figures such as Max Weber, developed in which social phenomena were identified with and understood. Another pushed economic study from being a descriptive to a mathematically based discipline. With the late nineteenth century, attempts to apply equations to statements about human behavior became increasingly common. Among the first were the "Laws" of philology, which attempted to map the change over time of sounds in a language. In the first half of the twentieth century, statistics became a free-standing discipline of applied mathematics. Statistical methods were used confidently, for example in an increasingly mathematical and scientific view of biology by such pioneers as Gregor Mendel and Charles Darwin. This encouraged psychologists, sociologists, economists, and other social scientists to apply these methods to their fields of inquiry. The first thinkers to attempt to combine inquiry of the type they saw in Darwin with exploration of human relationships, were Sigmund Freud in Austria and William James in the United States. 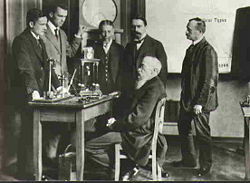 Freud's theory of the functioning of the mind, and James' work on experimental psychology had enormous impact on those that followed. The Industrial Revolution created a series of social, economic, and political problems, particularly in managing supply and demand in their political economy, the management of resources for military and developmental use, the creation of mass education systems to train individuals in reasoning and problems in managing the effects of industrialization itself. To manage the new enterprises, private and governmental, required more data. More data required a means of reducing it to information upon which to make decisions. Numbers and charts could be interpreted more quickly and moved more efficiently than long texts. Increasingly, quantitative and qualitative methods began to be integrated in the study of human action and its implications and consequences. The social sciences are still relatively new, not more than two centuries old, and there are a number of issues and directions about which there is still no consensus. One issue concerns the possibility of a "grand theory" of the social sciences. There continues to be little movement toward consensus on what methodology might have the power and refinement to connect such a "grand theory" with the various mid-range theories that have been developed within the various social sciences. A second, and no less important issue concerns the purpose of the social sciences and their role in relation to society. For if their purpose is to improve society, how is this to be accomplished? If the funding and support for social scientific research comes from the government and social structures within society it may be difficult for social scientists to separate themselves from the status quo and suggest and implement changes to those very institutions from which they derive support. There has always been some fluidity over which areas of study are included within social sciences. Nevertheless, anthropology, economics, linguistics, psychology, and sociology are foundational; communication, education, law, political science, and social work may be included as well as certain sub-fields of other disciplines, such as human geography. Traditionally, the study of history has been considered a part of the humanities, but it may also be classified as a social science. 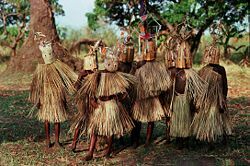 Anthropology consists of two major divisions: physical anthropology, which deals with the human physical form from the past to the present, and cultural anthropology (also known as social anthropology), which studies human culture in all its aspects. Additionally, the areas of archaeology, which studies the remains of historical societies, and linguistic anthropology, which studies variation in language across time and space and its relationship to culture, are considered sub-disciplines in North America. Each sub-discipline uses different techniques, taking different approaches to study human beings at all points in time. Communication studies deals with processes of human communication, commonly defined as the sharing of symbols to create meaning. The discipline encompasses a range of topics, from face-to-face conversation to mass media outlets such as television broadcasting. Communication studies also examines how messages are interpreted through the political, cultural, economic, and social dimensions of their contexts. Communication is institutionalized under many different names at different universities, including "communication," "communication studies," "speech communication," "rhetorical studies," "communications science," "media studies," "communication arts," "mass communication," "media ecology," and "communication and media science." Economics is a social science that seeks to analyze and describe the production, distribution, and consumption of wealth. The word "economics" is from the Greek οἶκος [oikos], "family, household, estate," and νόμος [nomos], "custom, law," and hence means "household management" or "management of the state." Economics has two broad branches: microeconomics, where the unit of analysis is the individual agent, such as a household or firm, and macroeconomics, where the unit of analysis is an economy as a whole. Another division of the subject distinguishes positive economics, which seeks to predict and explain economic phenomena, from normative economics, which orders choices and actions by some criterion; such orderings necessarily involve subjective value judgments. Since the early part of the twentieth century, economics has focused largely on measurable quantities, employing both theoretical models and empirical analysis. Quantitative models, however, can be traced as far back as the physiocratic school. The classic brief definition of economics, set out by Lionel Robbins in 1932, is "the science which studies human behavior as a relation between scarce means having alternative uses." Scarcity means that available resources are insufficient to satisfy all wants and needs. Without scarcity and alternative uses of available resources, there is no economic problem. Economics thus involves the study of choices as they are affected by incentives and resources. This paradigm crucially assumes (1) that resources are scarce because they are not sufficient to satisfy all wants, and (2) that "economic value" is willingness to pay as revealed for instance by market (arms' length) transactions. Rival schools of thought, such as institutional economics, Socialist economics, green economics, and economic sociology, make other grounding assumptions. One of the uses of economics is to explain how economies, as economic systems, work and what the relations are between economic players (agents) in the larger society. Methods of economic analysis have been increasingly applied to fields that involve people (officials included) making choices in a social context, such as crime, education, the family, health, law, politics, religion, social institutions, and war. Education encompasses teaching and learning specific skills, and also something less tangible but more profound: the imparting of knowledge, positive judgement, and well-developed wisdom. Education has as one of its fundamental aspects the passing on of culture from generation to generation (see socialization). To educate means 'to draw out', from the Latin educare, or to facilitate the realization of an individual's self-potential and latent talents. The education of an individual human begins at birth and continues throughout life. Some believe it begins even before birth, as evidenced by some parents' playing music or reading to the baby in the womb in the hope it will influence the child's development. In its formal role in schools and other educational institutions, education an application of pedagogy, a body of theoretical and applied research relating to teaching and learning and draws on many disciplines such as psychology, philosophy, computer science, linguistics, neuroscience, sociology and anthropology. Formal institutional eduction, however, is only part of education. Generally, education occurs through any experience that has a formative effect on the way one thinks, feels, or acts. For example, experiences in the family may have a profound educational effect, though family teaching may function very informally. Geography is the science that studies the lands, the features, the inhabitants, and the phenomena of the Earth. Geography has been called "the world discipline" and "the bridge between the human and the physical sciences." The field of geography is generally split into two distinct branches: physical and human. Physical geography examines phenomena related to the natural environment: climate, oceans, soils, and the measurement of earth. Human geography focuses largely on the built environment and how space is created, viewed, and managed by humans as well as the influence humans have on the space they occupy through fields as diverse as Cultural geography, transportation, health, military operations, and cities. Other branches of geography include Social geography, regional geography, geomantics, and environmental geography which looks at the interactions between the environment and humans combining physical and human geography. 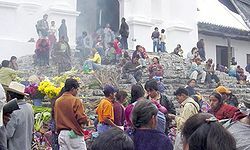 Geography has four major traditions: (1) a spatial tradition, the spatial analysis of the natural and the human phenomena (geography as the study of distribution), (2) an area studies (places and regions) tradition, (3) a man-land tradition, the study of the man-land relationship, and (4) an earth science tradition. The first geographers focused on the science of map making and finding ways to precisely project the surface of the earth. In this sense, geography bridges some gaps between the natural sciences and social sciences. Modern geography is an all-encompassing discipline that foremost seeks to understand the Earth and all of its human and natural complexities—not merely where objects are, but how they have changed and come to be. The fields of Urban Planning, Regional Science, and Planetology are closely related to geography. Practitioners of geography use many technologies and methods to collect data such as remote sensing, aerial photography, statistics, and global positioning systems (GPS). Traditionally, the study of history has been considered a part of the humanities, alongside a subject such as literature. However, in modern academia, history is increasingly classified as a social science. History traditionally refers to the study and interpretation of the written record of past human activity, people, societies, and civilizations leading up to the present day. It is the continuous, systematic narrative and research of past events as relating to the human species; as well as the study of all events in time, in relation to humanity. The term "history" comes from the Greek historia (ἱστορία), "an account of one's inquiries," and shares that etymology with the English word "story." History can be seen as the sum total of many things taken together and the spectrum of events occurring in action following in order leading from the past to the present and into the future. The historical method comprises the techniques and guidelines by which historians use primary sources and other evidence to research and then to write history. Events occurring before the introduction of the earliest known written and historical records, (which includes more than 99 percent of the time humans have existed) are described as prehistory, a period informed by the fields of paleontology and archaeology. In cultures where written records did not appear until more recent times, oral tradition is used, and even in cultures where written records are common, many historians supplement the written records with oral history. The history of, say, the Australian aborigines is almost all drawn from oral sources. Law comes from Old English lagu "something laid down or fixed"; legal comes from Latin legalis, from lex "law," "statute." It refers to a "system of rules" usually enforced through a set of institutions. It has been defined as an "interpretive concept" to achieve justice, as an "authority" to mediate people's interests, and even as "the command of a sovereign, backed by the threat of a sanction." 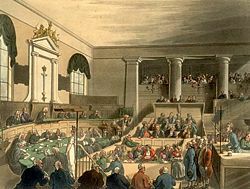 Law can be regarded as a part of the social sciences, although it is ordinarily pursued in schools of law rather than in departments or schools of social science. However one likes to think of law, it is a completely central social institution. The study of law crosses the boundaries between the social sciences and humanities, depending on one's view of research into its objectives and effects. Legal policy incorporates the practical manifestation of thinking from almost every social sciences and humanity. Laws are politics, because politicians create them. Law is philosophy, because moral and ethical persuasions shape their ideas. Law tells many of history's stories, because statutes, case law, and codifications build up over time. And law is economics, because any rule about contract, tort, property law, labor law and more can have long lasting effects on the distribution of wealth. Linguistics is a discipline that looks at the cognitive and social aspects of human language. 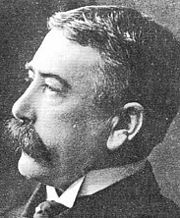 Ferdinand de Saussure is considered the father of modern linguistics. The field is traditionally divided into areas that focus on particular aspects of the linguistic signal, such as syntax (the study of the rules that govern the structure of sentences), semantics (the study of meaning), phonetics (the study of speech sounds), and phonology (the study of the abstract sound system of a particular language). However, work in areas like evolutionary linguistics (the study of the origins and evolution of language) and psycholinguistics (the study of psychological factors in human language) cut across these divisions. The overwhelming majority of modern research in linguistics takes a predominantly synchronic perspective (focusing on language at a particular point in time), and, partly owing to the influence of Noam Chomsky, often aims at formulating theories of the cognitive processing of language. However, language does not exist in a vacuum, or only in the brain, and approaches like contact linguistics, creole studies, discourse analysis, social interactional linguistics, and sociolinguistics explore language in its social context. Sociolinguistics often makes use of traditional quantitative analysis and statistics in investigating the frequency of features, while some disciplines, like contact linguistics, focus on qualitative analysis. While certain areas of linguistics can thus be understood as clearly falling within the social sciences, other areas, like acoustic phonetics and neurolinguistics, draw on the natural sciences. Linguistics draws only secondarily on the humanities, which played a rather greater role in linguistic inquiry in the nineteenth and early twentieth centuries. Political science is an academic and research discipline that deals with the theory and practice of politics and the description and analysis of political systems and political behavior. Herbert Baxter Adams is credited with coining the phrase "political science" while teaching history at Johns Hopkins University. Political science is methodologically diverse. Approaches to the discipline include classical political philosophy, interpretivism, structuralism, behavioralism, realism, pluralism, and institutionalism. Political science, as one of the social sciences, uses methods and techniques that relate to the kinds of inquiries sought: primary sources such as historical documents, interviews, and official records, as well as secondary sources such as scholarly journal articles are used in building and testing theories. Empirical methods include survey research, statistical analysis/econometrics, case studies, experiments, and model building. Political scientists study the allocation and transfer of power in decision-making, the roles and systems of governance including governments and international organizations, political behavior and public policies. They measure the success of governance and specific policies by examining factors such as stability, justice, material wealth, and peace. Some political scientists seek to advance positive theses by analyzing politics. Others advance normative theses, by making specific policy recommendations. Psychology is an academic and applied field involving the study of behavior and mental processes. It attempts to understand the role human behavior plays in social dynamics while incorporating physiological and neurological processes into its conceptions of mental functioning. Psychology also refers to the application of such knowledge to various spheres of human activity, including issues related to daily life—such as family, education, and work—and the treatment of mental illness. The word psychology comes from the ancient Greek ψυχή, psyche ("soul," "mind") and logy, study). Psychology differs from anthropology, economics, political science, and sociology in seeking to capture explanatory generalizations about the mental functions and overt behavior of individuals, while the other disciplines rely more heavily on field studies and historical methods for extracting descriptive generalizations. In practice, however, there is considerable cross-fertilization that takes place among the various fields. Psychology differs from biology and neuroscience in that it is primarily concerned with the interaction of mental processes and behavior, and of the overall processes of a system, and not simply the biological or neural processes themselves, although the subfield of neuropsychology combines the study of the actual neural processes with the study of the mental effects they have subjectively produced. Psychology is often thought of as clinical psychology, which focuses on assessment and treatment of problems in living and psychopathology. In reality, psychology is a very broad field and most psychologists limit their interest to a small subsection of the discipline. Psychology has myriad specialties including: social psychology, developmental psychology, cognitive psychology, industrial-organizational psychology, mathematical psychology, neuropsychology, and parapsychology, to name only a few. Psychology is generally classified within the social sciences, although, since it overlaps with the natural sciences it is also considered one of the behavioral sciences—a broad field that spans the social and natural sciences. Although some subfields encompass a natural science base and a social science application, others can be clearly distinguished as having little to do with the social sciences or having a lot to do with the social sciences. For example, biological psychology is considered a natural science with a social scientific application (as is clinical medicine), social and occupational psychology are, generally speaking, purely social sciences. Social work has its roots in the struggle of society to deal with poverty and its resultant problems. Social Work is a discipline involving the application of social theory and research methods to improve the lives of people, groups, and societies. Concerned with social problems, their causes, their solutions, and their human impacts, social workers work with individuals, families, groups, organizations, and communities. 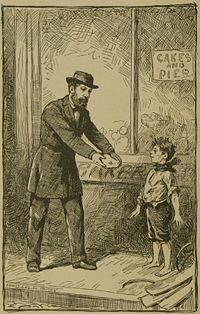 Social work originated in the nineteenth century, beginning primarily in the United States and England in response to societal problems that resulted from the Industrial Revolution. The settlement movement's emphasis on advocacy and case work became part of social work practice. During the twentieth century, the profession began to rely more on research and evidenced-based practice as it attempted to improve its professionalism. Social work bases its methodology on a systematic body of evidence-based knowledge derived from research and practice evaluation, including local and indigenous knowledge specific to its context. Social work intervenes at the points where people interact with their environments, recognizing the complexity of those interactions and the capacity of people both to be affected by and to alter the multiple influences upon them. The social work profession draws on theories of human development and behavior and social systems to analyze complex situations and to facilitate individual, organizational, social, and cultural changes. Principles of human rights and social justice are fundamental to social work. Sociology comes from Latin: Socius, "companion," thus referring to people in general; and the suffix -ology, "the study of," from Greek λόγος, lógos, "knowledge." It is a social science involving the application of social theory and research methods to the study of the social lives of people, groups, and societies, sometimes defined as the study of social interactions. Sociology generally concerns itself with the social rules and processes that bind and separate people not only as individuals, but as members of associations, groups, communities and institutions, and includes the examination of the organization and development of human social life. Sociology offers insights about the social world that extend beyond explanations that rely on individual personalities and behavior. The sociological field of interest ranges from the analysis of short contacts between anonymous individuals on the street to the study of global social processes. Sociology comprises a cluster of sub-disciplines that examine different dimensions of society. These include demography, which studies changes in a population size or type; criminology, which studies criminal behavior and deviance; social stratification, which studies inequality and class structure; political sociology which studies government and laws; sociology of race and sociology of gender, which examine the social construction of race and gender as well as race and gender inequality. New sociological fields and sub-fields—such as network analysis and environmental sociology—continue to evolve; many of them are very cross-disciplinary in nature. Sociologists use a diversity of research methods, including case studies, historical research, interviewing, participant observation, social network analysis, survey research, statistical analysis, and model building, among other approaches. The results of sociological research aid educators, lawmakers, administrators, developers, and others interested in resolving social problems and formulating public policy. Development studies - a multidisciplinary branch of social science which addresses issues of concern to developing countries. International studies - covers both International relations (the study of foreign affairs and global issues among states within the international system) and International education (the comprehensive approach that intentionally prepares people to be active and engaged participants in an interconnected world). Journalism - the craft of conveying news, descriptive material and comment via a widening spectrum of media. Management - in business and human organization, the act of getting people together to accomplish desired goals and objectives using available resources efficiently and effectively. Marketing - the identification of human needs and wants, defines and measures their magnitude for demand and understanding the process of consumer buying behavior to formulate products and services, pricing, promotion and distribution to satisfy these needs and wants through exchange processes and building long term relationships. Area studies - interdisciplinary fields of research and scholarship pertaining to particular geographical, national/federal, or cultural regions. Behavioral science - a term that encompasses all the disciplines that explore the activities of and interactions among organisms in the natural world. Cultural studies - an interdisciplinary field that seeks to understand how meaning is generated, disseminated, and produced from the social, political, and economic spheres within each culture. Environmental studies - an area that integrates social, humanistic, and natural science perspectives on the relation between humans and the natural environment. Gender studies - an interdisciplinary field that studies gender and sexuality in a broad range of areas. Information science - an interdisciplinary science primarily concerned with the collection, classification, manipulation, storage, retrieval, and dissemination of information. Library science - an interdisciplinary field that applies the practices, perspectives, and tools of management, information technology, education, and other areas to libraries; the collection, organization, preservation and dissemination of information resources; and the political economy of information. The social sciences share many social theory perspectives and research methods. Theory perspectives include critical theory, feminist theory, assorted branches of Marxist theory, social constructionism, and structuralism, among others. Research methods shared include a wide variety of quantitative and qualitative methods. Social theories are frameworks used to study and interpret social phenomena. Their formulation has given rise to historical debates over the most valid and reliable methodologies (for example, positivism and antipositivism), as well as the primacy of either structure or agency. Certain social theories attempt to remain strictly scientific, descriptive, and objective. Others, by contrast, present ostensibly normative positions, and often critique the ideological aspects inherent in conventional, traditional thought. The selection of an appropriate theoretical orientation within which to develop a potentially helpful theory is the bedrock of social science. A theoretical orientation (or paradigm) is a worldview, the lens through which one organizes experience (such as thinking of human interaction in terms of power or exchange); a theory is an attempt to explain and predict behavior in particular contexts. A theoretical orientation cannot be proven or disproven; a theory can. Having a theoretical orientation that sees the world in terms of power and control, one could create a theory about violent human behavior which includes specific causal statements (for example, being the victim of physical abuse leads to psychological problems). This could lead to an hypothesis (prediction) about what one would expect to see in a particular sample, such as “a battered child will grow up to be shy or violent.” The hypothesis can then be tested by looking to see if it is consistent with data in the real world. This could be done by reviewing hospital records to find children who were abused, and then administering a personality test to them to see if they showed signs of being violent or shy. Marxist theories, such as class theory, are strongly influenced by Karl Marx's materialist approach to theory. Rational choice theory is a framework for understanding social and economic behavior based on the idea that patterns of behavior in societies reflect the choices made by individuals as they try to maximize their benefits and minimize their costs. Structural functionalism is a sociological paradigm which addresses what social functions various elements of the social system perform in regard to the entire system. Social scientists employ a wide range of methods in order to analyze a vast breadth of social phenomena; from census survey data derived from millions of individuals, to the in-depth analysis of a single agent's social experiences; from monitoring what is happening in the world today, to the investigation of ancient historical documents. The methods originally rooted in classical sociology and statistics form the basis for research in the broad range of social science disciplines. However, social scientists commonly combine quantitative and qualitative approaches as part of a multi-strategy design. Questionnaires, field-based data collection, archival database information, and laboratory-based data collections are some of the measurement techniques used. It is noted the importance of measurement and analysis, focusing on the (difficult to achieve) goal of objective research or statistical hypothesis testing. In many cases a mathematical model is developed to describe a social system, a set of interacting or interdependent entities, real or abstract, forming an integrated whole. A mathematical model is "a representation of the essential aspects of an existing system (or a system to be constructed) which presents knowledge of that system in usable form." Mathematical models can take many forms, including but not limited to dynamical systems, statistical models, differential equations, or game theoretic models. Research was conducted that raised serious ethical questions regarding the use of human subjects in experimental situations. For example, a famous experiment by psychologist Stanley Milgram measured the willingness of participants to obey an authority figure who instructed them to perform acts that conflicted with their personal conscience. Efforts have since been made to protect participants and subjects from abuses in clinical trials and research studies, with these issues remaining an ongoing topic for discussion. In the United States, ethical guidelines were formalized in the Belmont report (1979) followed by the Federal Policy for the Protection of Human Subjects (1991), informally known as the “Common Rule,”  Various disciplines within social sciences have formalized their own ethical code, such as the Ethical Principles of Psychologists. The principle of respect values the dignity and worth of all people, and the rights of individuals to privacy, confidentiality, and self-determination. A cornerstone of this principle is the use of informed consent. This holds that (a) individuals should be respected as autonomous agents capable of making their own decisions, and that (b) subjects with diminished autonomy deserve special considerations. The principle of beneficence holds that (a) the subjects of research should be protected from harm, and (b) the research should bring tangible benefits to society. By this definition, research with no scientific merit is automatically considered unethical. The principle of justice states the benefits of research should be distributed fairly. The definition of fairness used is case-dependent, varying between "(1) to each person an equal share, (2) to each person according to individual need, (3) to each person according to individual effort, (4) to each person according to societal contribution, and (5) to each person according to merit." ↑ Roger E. Backhouse and Philippe Fontaine (eds. ), The History of the Social Sciences since 1945 (Cambridge University Press, 2010, ISBN 978-0521717762). ↑ William Thompson, An Inquiry Into The Principles Of The Distribution Of Wealth Most Conducive To Human Happiness (Ulan Press, 2012). ↑ 3.0 3.1 Adam Kuper and Jessica Kuper (eds. ), The Social Science Encyclopedia (New York, NY: Routledge, 2005, ISBN 978-0415476355). ↑ Akbar S. Ahmed, "Al-Biruni: The First Anthropologist," RAIN 60 (1984): 9-10. ↑ Serena Nanda and Richard Warms, Culture Counts (Wadsworth, 2008, ISBN 978-0495007876). ↑ Robert Lowie, Primitive Religion (Nabu Press, 2011, ISBN 978-1245089456). ↑ Edward B. Tylor, Primitive Culture: Researches into the Development of Mythology, Philosophy, Religion, Language, Art, and Custom (Gordon Press, 1976, ISBN 978-0879684648). ↑ Lionel Robbins, An Essay on the Nature and Significance of Economic Science. Retrieved January 23, 2013. ↑ James Hayes-Bohanan, What is Environmental Geography, Anyway? Retrieved January 23, 2013. ↑ William D. Pattison, The Four Traditions of Geography Paper presented at the opening session of the annual convention of the National Council for Geographic Education, Columbus, Ohio, November 29, 1963. Retrieved January 23, 2013. ↑ H.L.A. Hart, The Concept of Law (Oxford University Press, 1994, ISBN 978-0198761228). ↑ Geoffrey Robertson, Crimes Against Humanity (The New Press, 2007, ISBN 978-1595580719). ↑ Ronald Dworkin, Law's Empire (Boston, MA: Harvard University Press, 1986, ISBN 978-0674518360). ↑ Joseph Raz, The Authority of Law (Oxford University Press, 2009, ISBN 978-0199573578). ↑ John Austin, The Providence of Jurisprudence Determined (Cambridge University Press, 1995, ISBN 978-0521447560). ↑ Definition of Social Work International Federation of Social Workers. Retrieved January 24, 2013. ↑ Pieter Eykhoff, System Identification: Parameter and State Estimation (New York, NY: Wiley & Sons, 1974, ISBN 978-0471249801). ↑ Stanley Milgram, Obedience to Authority: An Experimental View (New York, NY: Harper Perennial, 1983, ISBN 978-0061319839). ↑ Sharon Stoerger, Social Science Ethics: A Bibliography. Retrieved January 30, 2013. ↑ 20.0 20.1 20.2 20.3 The Belmont Report The National Commission for the Protection of Human Subjects of Biomedical and Behavioral Research, April 18, 1979. Retrieved January 18, 2013. ↑ Federal Policy for the Protection of Human Subjects ('Common Rule') U.S. Department of Health & Human Services. Retrieved January 18, 2013. ↑ 22.0 22.1 American Psychological Association, General Principles Ethical Principles of Psychologists and Code of Conduct. Retrieved January 18, 2013. Social sciences, philosophy of Routledge Encyclopedia of Philosophy. This page was last modified on 7 October 2015, at 19:41.